Relaxing long weekend? Good. It's shaping to be another tricky week. 1. Global markets slipping: The mood is downbeat on Tuesday. 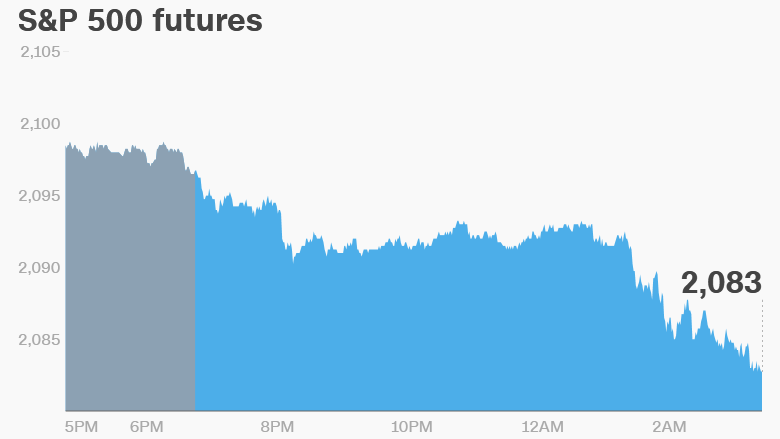 Global stock markets are falling for the first time in a week, and U.S. stock are poised to open lower after the long weekend. Asian markets ended the session in the red and European markets are sliding lower in early trading. Germany's DAX and France's CAC 40 are both down about 1.5%. The FTSE 100 is dipping 0.7% and the pound is trading around $1.31. That's the lowest in more than three decades and 12.6% below the $1.50 it reached on June 23, the day of the Brexit referendum. The broader FTSE 250 index, which gives a better indication of how investors feel about the U.K., is down 2.3%. It has lost 9.4% since the U.K. voted to leave the European Union. The pound's crash reflects concerns that the country's exit from the EU will be accompanied by recession. A survey of sentiment among managers in the U.K. construction industry slumped to a seven-year low. There's more bad news: Fund manager Standard Life has stopped retail investors from pulling money out of one of the largest U.K. property funds. "The announcement (by) Standard Life is one catalyst for the downturn in sentiment, though not the only one," wrote Kit Juckes, strategist at Societe Generale. 2. Oil tanking: Oil futures are dropping more than 2% to just under $48 per barrel. Nigeria has ramped up its production again, Bloomberg reported, after making repairs to facilities damaged by terror attacks. The country's output had dropped by nearly 1 million barrels per day due to a wave of sabotage on its infrastructure by a militant group known as the Niger Delta Avengers. 3. Stock market movers -- Tesla, European banks: Tesla (TSLA) is down premarket, following news of a deadly crash involving its autopilot technology last week. Over the weekend, Tesla also revealed its deliveries in the second quarter were lower than anticipated. European banking stocks are falling again. The MSCI European Financials index is down 1.6% on Tuesday. Royal Bank of Scotland (RBS) is down 2.4% and Barclays (BCS) is 1.3% lower. Banca Monte dei Paschi di Siena (BMDPF) is plunging more than 7%, after the European Central Bank told it to reduce its exposure to bad loans. Italian banks have been hit hard by the market turmoil that followed the Brexit vote. 4. Economics: The Bank of England is publishing its financial stability report at 5:30 a.m. ET. The report will give more details about the risks the central bank expects from the Brexit vote. Eurozone services expansion slowed to its weakest pace in 17 months in June, pointing to slower growth in the second quarter. U.S. factory orders data for May are expected at 10 a.m. ET. 5. Friday market recap: The market closed with slight gains before the holiday weekend. 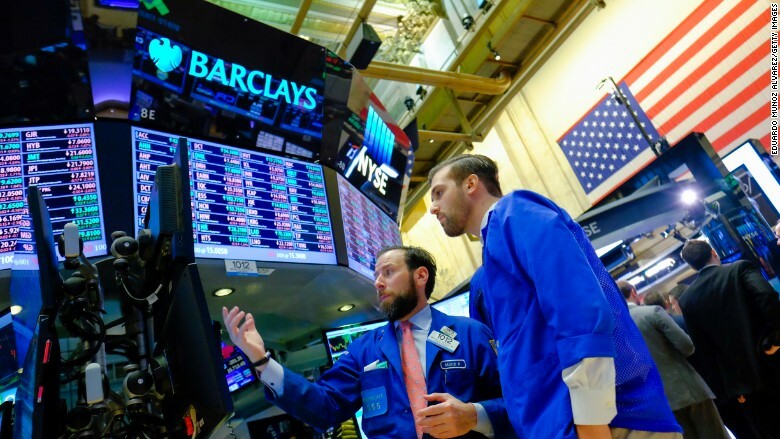 The Dow Jones industrial average was up 0.1%, while the S&P 500 added 0.2% and the Nasdaq grew by 0.4%.